The Google Home smart speaker is great right out of the box, but did you know you can customize it to be even better? You can change the default music service, specify which websites to use when reading you the news, and even set up complicated routines capable of carrying out multiple commands at once. Before you can do all that and more, however, you'll need to know how to get into the Google Home settings to personalize it. There are few buttons and no screen on the Google Home smart speaker, so how do you get into settings? 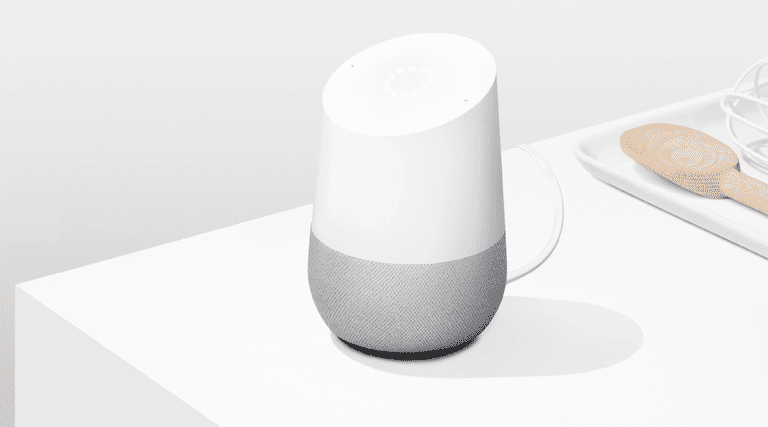 Google Home requires your smartphone or tablet to set it up and to personalize it via the Google Home app, which can be downloaded for the iPhone or iPad, as well through Google Play for Android devices. First, launch the Google Home app on your smartphone or tablet. Tap the Devices button in the upper-right corner to go to the Devices screen. Locate your Google Home in the Devices screen and tap the three dots in the upper-right corner of your Google Home. Select Settings from the pop-up menu. Settings are divided into General, Google Assistant, Sound, and Device settings. The Google Assistant settings are global, so they will affect all of your smart speakers and other devices. General, Sound, and Device settings are specific to the Google Home chosen, so if you have two Google smart speakers, you can adjust these settings individually. Linked account(s): Google Home is dependent upon your Google account for many services such as playing music from Google Play or YouTube Music. You can change your linked Google account or even link an additional account, but first, you'll need to link that additional account to the Google Home app. Name: If you have multiple Google Home devices, it can be useful to give each a specific name so you can easily tell them apart. Group: Want to play music on all of your smart speakers at once? Tap Group, then choose Create new group to place your current Google Home speaker in a group. Go to each individual device's settings and place them in the same group; to play music on all of your devices, say, "Play Rock on [group name]." Wi-Fi: Your Google Home device interacts with your smartphone or tablet provided it's on the same Wi-Fi network. If you move or get a new router, you can go into these Wi-Fi networks and choose Forget This Network, which will put the Google Home speaker in discovery mode and allow you to set it up again; just as you did when it was fresh out of the box. Equalizer: In the Sound settings are Google Home's Equalizer settings. Google Home uses a simple EQ with just Bass and Treble settings. For playing music, a basic rule of thumb is to raise the bass and treble at lower and mid-range volume that you might have in a home and lower the bass and treble when the volume is so loud it's difficult to hear people. However, different types of music sound better with different EQ settings. Group delay correction: If you've placed multiple speakers in a group and they aren't perfectly in sync, you can use this setting to adjust individual Google Home devices to sync them up. Default speaker: If you have multiple Google Home speakers, you can set one as the default for music and audio. If you set up a group of Google Home smart speakers, you can set the entire group as a default or set up a Bluetooth speaker as the default. Default TV: If you happen to have multiple TVs set up to work with Google Home, you can set one as the default. Didn't know you can set up a TV with Google Home? Alarms & timers: If you're using your Google Home Mini as an alarm clock, you can set the volume using this setting. Unfortunately, you can't set the alarm itself, but that's easy enough to do by saying, "Hey Google, wake me up at 7 AM." Night mode: If you use Google Home as an alarm in your bedroom, Night mode can be your best friend. Night mode will change the brightness of the LED lights and lower the volume of notifications during a set period of time. Do not disturb: If you want to mute reminders and broadcast messages, turn on Do not disturb mode. Guest mode: If you have a friend over who wants to listen to a song that's not in your library, use guest mode to allow them to cast to your Google Home speaker. They'll need to be on the same Wi-Fi network and use the four-digit PIN displayed in this section of settings. Accessibility: The accessibility settings allow you to force Google Home to play a sound when it starts listening for your voice and when it stops listening. Paired Bluetooth devices: If you've paired you Google Home smart speaker with other devices, you can access those settings here. Reverse device controls: When mounting a Google Home, you may want to reverse the controls if it's mounted upside down. Lower volume when listening: By default, the audio volume will lower when interacting with the Google Assistant, but you can turn this feature off. Let others control your cast media: When casting audio, you can allow other Android devices to control the media. They'll need to be on the same Wi-Fi network for this to work. The Google Assistant settings are global, meaning they'll affect all of your devices. These controls allow you to change the default sources for music and news, as well as get at your shopping list and other useful features. Music: Google Play Music is the default source for music, but you can set this as YouTube Music, Pandora, Deezer, or Spotify. You'll need to link Pandora, Deezer, or Spotify to use those as the default source. Home control: Google Home can interact with compatible smart devices around your home such as your doorbell, cameras, light bulbs, etc. You can set up these devices under the Home control settings. Shopping list: A useful feature of Google Assistant is the ability to easily add items to your shopping list by simply telling your Google Home speaker. You can access the shopping list from settings and add additional items if needed. Voice Match: While not perfect, Voice Match attempts to recognize your specific voice. Once set up, Voice Match will keep personal information such as your calendar private when it doesn't recognize your voice speaking the voice commands. The Music, Home control, Shopping list, and Voice Match controls are accessible from the first page of settings, but to set other features like where to get news or stock quotes, you'll need to tap the More button in the Google Assistant settings block. There's a lot hidden in the More page in Google Assistant settings. News: Don't like the news you're getting from Google Assistant? There are dozens of sources that can to replace the defaults. Simply tap the X to remove a news source or tap the Add news sources button and scroll through the list of options. Tap the checkbox next to the sources you want to set as a default. Routines: Perhaps the most powerful tool in Google Assistant's arsenal are routines. A routine lets you link several commands with a specific keyword, such as "Good morning" reading you the news and giving you traffic updates for your commute. Not only can you can edit Routines in this section, you can add new Routines by tapping the circular blue plus button in the lower-left corner. Voice and Video calls: Want to use your Google Home Mini or Home Max as a speakerphone? Connect Google Assistant to Google Voice, Google Duo, Project Fi, or your actual phone number. Calendar: If you have multiple Google accounts, you can choose a default Google Calendar for marking events and setting up meetings. Stocks: You can follow specific stocks via Google. Tap this link to go to Google's Finance section in a web browser. Parental Controls are a part of Google's Family Link program. This program allows you to set up a Google account for kids and link them within a family group. The accounts can be granted specific permissions which then carry over to devices such as the Google Home smart speakers. In order to use the parental controls, the Google Home must be logged in using the Google account set up for the child. This is done in the Linked account section of settings. Read more about Family Link on Google's website.